The Newport and Monterey Jazz festivals celebrated both the music and changing face of America in the ’60s. A stunning new book, Jazz Festival, featuring photographer Jim Marshall’s iconic images, turns back the clock to the age of Miles, Dizzy and more. 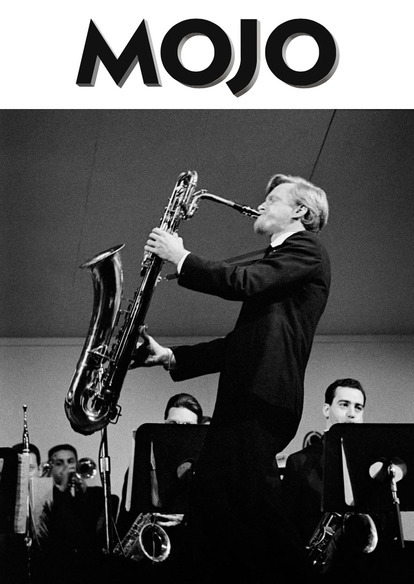 As former President Bill Clinton explains in his Foreword to this book, photographer Jim Marshall always offered an “unfiltered look into the world of jazz”. Jazz Festival: Jim Marshall documents a dynamic and vital period in the cultural history of the United States, with its candid photographs from the Newport and Monterey festivals of the 1960s. It’s a record of America in transition; a place where music, politics and race relations were changing. Jazz clubs were one of the few places, even in the north of the US, where blacks and whites mixed without having to worry about social disapproval. In the south, of course, it was still unheard of. “Outside of the Newport and Monterey jazz festivals, I had never before seen such a large, integrated crowd coming together for a common purpose,” writes jazz historian Nat Hentoff in his introduction. Jim Marshall was right there, taking photos, in the heart of this changing world. Born in Chicago in 1935, Marshall started taking photographs after his family moved to San Francisco. He gained entry into the world of professional photography after a chance encounter with John Coltrane. The saxophonist asked Marshall for directions to a club; Jim said he’d give him a lift there, as long as he could take his picture. Coltrane was among those who appeared at the Monterey and Newport jazz festivals. The Monterey Jazz festival launched in 1958 after pianist Dave Brubeck wooed the city council with a special performance and persuaded them to grant the festival organisters a licence. Brubeck went on to play the gathering 14 times, and features in Jazz Festival alongside fellow giants such as Dizzy Gillespie, Buddy Rich, Miles Davis and Louis Armstrong. The Newport Jazz festival in Newport, Rhode Island was first staged in 1954. Marshall’s photographs of Nina Simone, John Coltrane and Sonny Rollins, among others, from 1963 are included in the book, alongside wonderful pictures of a generation of jazz-loving young Americans.